How Do Successful Businesses Manage Their Operations? After working hard on the marketing plan and the financial plan, successful executive teams develop operating plans to implement them. These are the plans that ultimately result in successfully bringing one’s idea into the marketplace–and profits into the owner’s pocket. Staffing, office administration, and work flow supervision are the primary needs. Successful businesses anticipate problems and take steps immediately to improve workflow efficiency. Supervisors and budgets are assigned to control costs. If necessary, outside fractional help is secured to make sure that appropriate resources are allocated to the best potential outcomes. In addition, the top executive may recommend steps financial and marketing teams can take to enhance overall productivity–and, by extension, profitability. For example, organizations that offer and sell the same or similar goods or services over and over usually see fewer cost overruns and therefore generate more profit per unit of sale. Staffing a business with the correct number and types of employees makes your workplace both productive and more enjoyable. Sprinkle in some training and development and you demonstrate care and concern for your people. Create feedback loops and engagement will soar. Successful organizations increase or decrease staff levels as operating plans require. Outsourced human resources–whether through independent contractors, fractional professional staff, or subcontracting–allows your company to optimize human resources for any level of work necessary. Making preparations to finish existing projects while beginning new ones and documenting how the work will be accomplished will focus your efforts. Administering a variety of initiatives simultaneously places certain demands on office staff as well. A successful executive team thinks through the documentation needs of the organization and assigns responsibilities to appropriate personnel. Institutional knowledge is thereby captured for the benefit of all and adjustments become easier to make. Well-organized files–physical and electronic–are another vital component to smooth business operations and can eliminate wasted time and effort, as well as reinforce best practices! Successful supervision of field (or plant or billable or development) personnel involves more than simply the “management by walking around” approach of yore. Think about technology as a means to do more with less. Creatively brainstorm as to how to maximize the benefits of being face-to-face versus virtual–it’s a trade-off of time, money, and precious additional resources. Recruiting and hiring should reflect an effort to add to the team those who are the best cultural fit rather than simply strong technicians who may undermine the esprit de corps. Compensation and performance management systems should reinforce your value system–not stand separate from it. Think of processes like equipping, quality management, customer service, coaching, mentoring, motivating as key factors in your success. 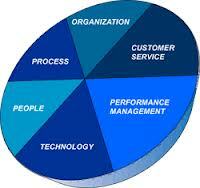 When you do, plans can be made to enable your organization’s operations to become efficient and profitable. ← How Do Successful Businesses Manage Their Finances?